With the end of academic year, the time has come for the students of class 12th to choose their career. Selecting a career option after intermediate/ +2 is not as easy as it looks. A student goes through hard times to make his mind about his future. Thanks to internet and multiple career options availability, now students will have sufficient information available online to know more about different career options. Students can go through the available options over internet and analyze various aspects of different fields. With numerous opportunities, students get confused about future course of action. It is suggested to take the help of patents, experts and other well wishers who have experienced this before but ultimate decision should be left out to the student as per interest. 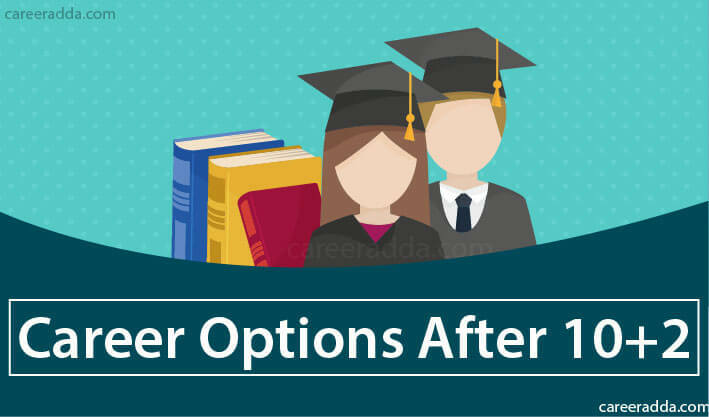 A student will have thorough knowledge of his/her interest and should be aware of job scope of preferred career option before taking decision. Taking several things into consideration at one time, sometimes, candidates gets confused and stuck with a wrong career option. To avoid such situations, a candidate should get some advice from his/her parents, friends and others. Candidates can also get some professional help from career counselors. Engineering 10+2 with PCM subjects 3 to 5 years IITs, NITs, AMU, BHU etc. Pharmacy 10+2 with PCB subjects 2 to 4 years Jamia Hamdard, National Institute of Pharmaceutical Education and Research, Maharshi Dayanand University etc. Computer Applications/IT/Computer Science 10+2 with PCM 1 to 4 years AMU, BHU, IGNOU, National Institute of Technology, Thapar University etc. Business Administration 10+2 with either PCM or PCB subjects 1 to 3 years University of Delhi, University of Mumbai, Symbiosis International University, Guru Gobind Singh Indraprastha University, Christ University, Bharati Vidyapeeth Deemed University etc. Agriculture/fisheries 10+2 with PCB subjects 3 to 4 years College of Fisheries Engineering, Central Institute of Fushering Edcation, Fisheries College and Research Institute, Amity University, Indian Council of Agricultural Research etc. Fashion technology 10+2 with PCM subjects 3 to 4 years AMU, NIFT, JD Institute of Fashion Technology etc. Physiotherapy 10+2 with PCB 3 to 5 ½ years AMU, AIIMS, GBPUAT, Lal Bahadur Shastri PG College, Bundelkhand University, Christian Medical College, Symbiosis Institute of Health Sciences etc. Architecture 10+2 with PCM 3 to 5 years Chandigarh College of Architecture, IIT, Manipal University, AMU, BHU, Jamia Milia Islamia University, Rizvi College of Architecture, National Institute Of Technology etc. Commercial Pilot 10+2 with PCM 6 to 18 months Indira Gandhi Rashtriya Uran Akademi, National Flying Training Institute, Madhya Pradesh Flying Club, Ahmedabad Aviation & Aeronautics Ltd. (AAA) etc. BMLT 10+2 with either PCM or PCB subjects 3 years University of Lucknow, AMU, Hindu College, Mount Carmel College, Banaras Hindu University etc. Integrated M.Sc. 10+2 with either PCM or PCB subjects 5 years AMU, BHU, University of Lucknow etc. B.A. 10+2 with either PCM or PCB subjects 3 years Loyola College, Lady Shri Ram College (LSR) for women, Christ University, AMU, St. Xavier’s College, Lucknow Christian College, National PG College etc. Only Science and Commerce days are gone, there are number of opportunities for Arts/ Humanities students. A wide range of creative programmes/courses are available for Intermediate Arts/Humanities students. A student passed in 10+2 examinations in Arts/Humanities stream can take admission to Bachelor course in any of the Arts subjects for pursuing higher studies. Bachelor courses in Arts/Humanities are available in number of field’s right from hotel management to journalism. These days, professional and academic courses available in Arts/Humanities are in great demand and offering high salaried jobs to pass out candidates. Enthusiastic candidates can take admission to courses like radio jockey, aviation, jewelry design, fashion technology, industrial or packaging design etc. In addition to this, those students who have interest in foreign languages can learn a language(s) of their interest such as Chinese, Japanese, Russian, German, Spanish or French and work as an interpreter in foreign consulates as well as embassies. Company Secretary Program Teachers Training (TTC) B.Des. Railway Recruitment Boards (RRBs) Ticket checker, clerks, constables etc. Indian Army Soldier (Technical), Soldier (Clerk), Nursing Assistant etc. Staff Selection Commission (SSC) Data Entry Operator, LDC, MTS, stenos in Group C & D etc. UP PRB Civic volunteer constable, computer operator etc. Along with above mentioned, there are several others. To know more about available career options after 10+2, feel free to contact us. We are available here to help you guys.